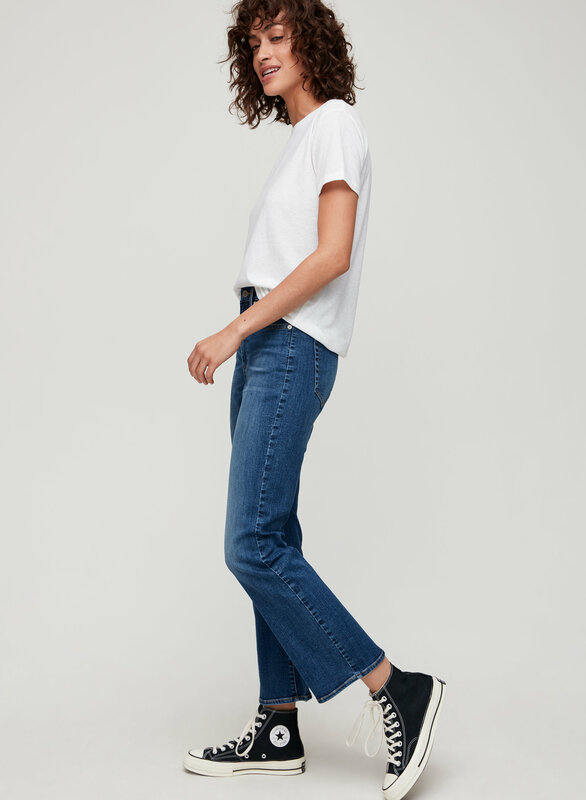 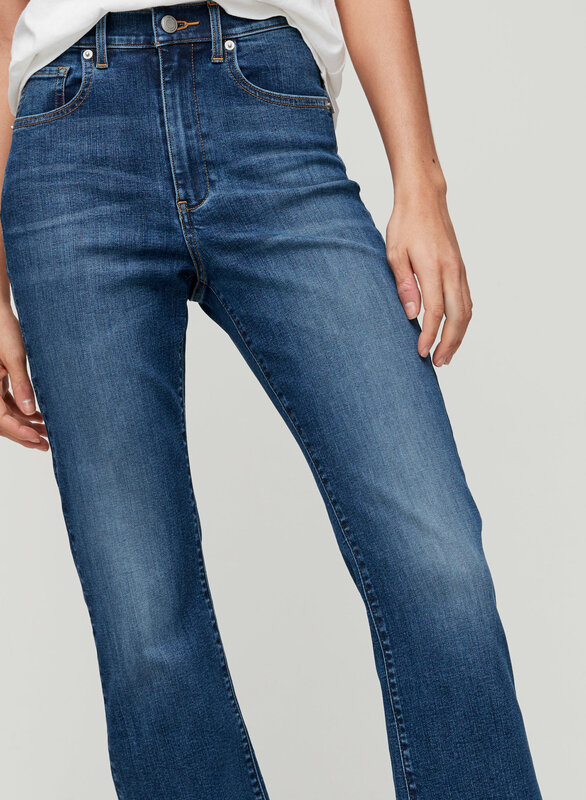 This is a high-rise jean with a slim leg and cropped, kick flare. 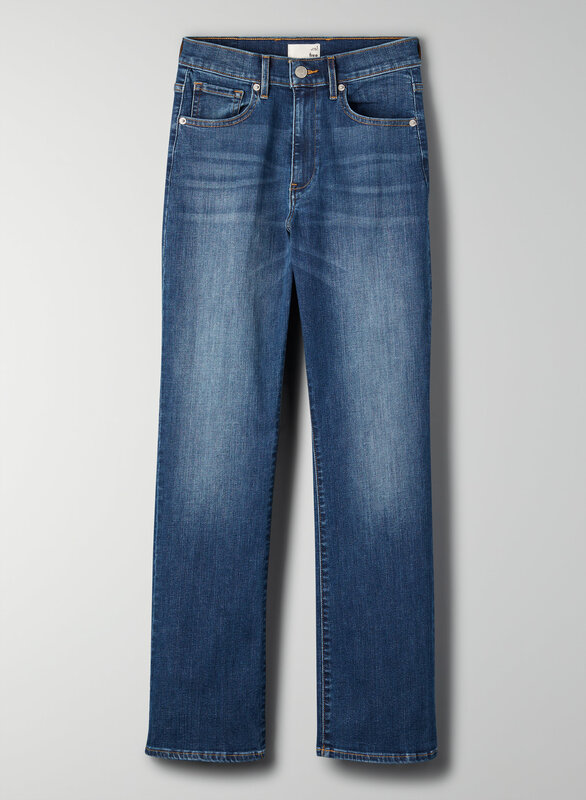 It's made with a high-stretch denim that's soft to touch and holds its shape. 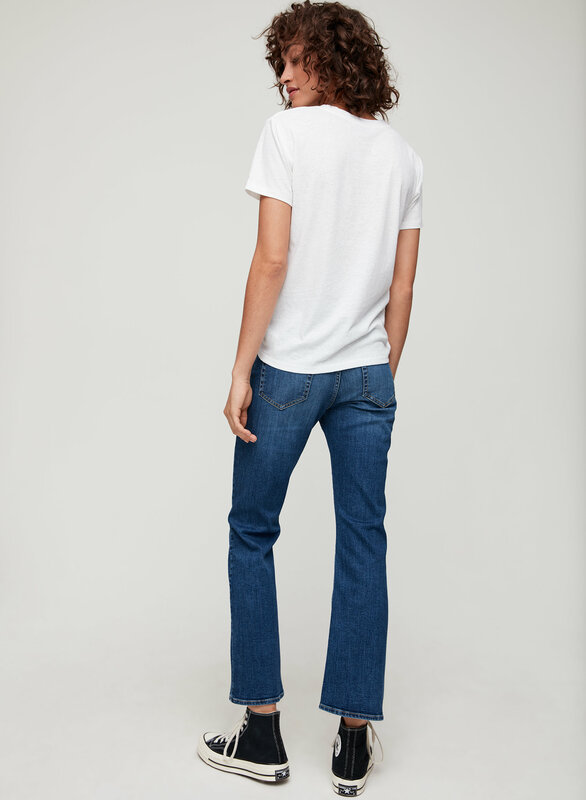 This version of the Karlie comes in a medium blue wash.